US equity indexes closed moderately mixed, sp -3pts at 2461. The two leaders - Trans/R2K, settled higher by 0.4% and 0.1% respectively. 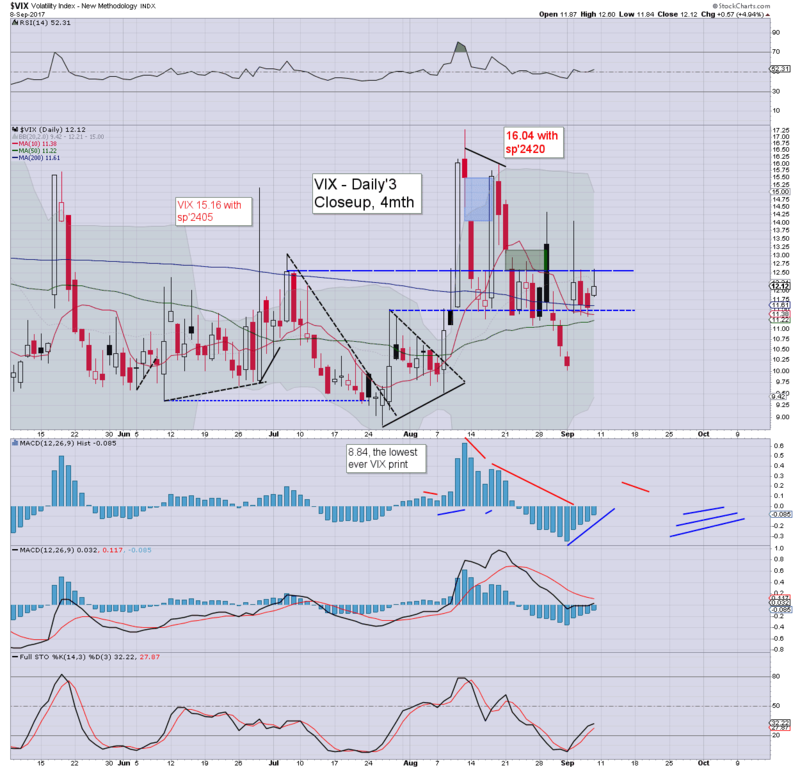 VIX settled +4.9% to 12.12. Near term outlook offers downside to at least the 2440s. 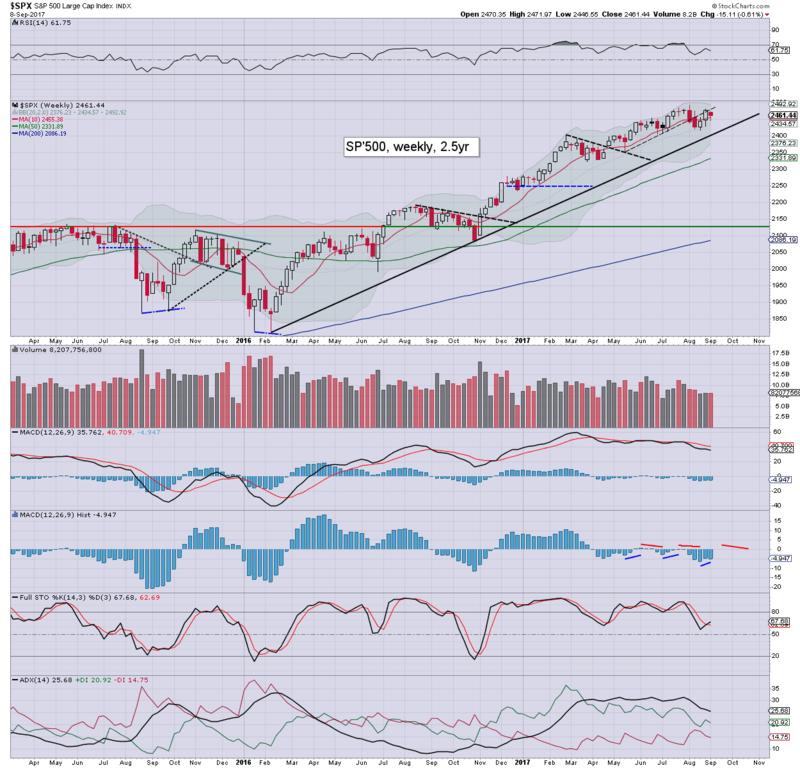 More broadly, the 2350s seem probable by early October. US equities opened a little weak, occasionally turning fractionally positive, but for the most part, it was a day of micro chop. 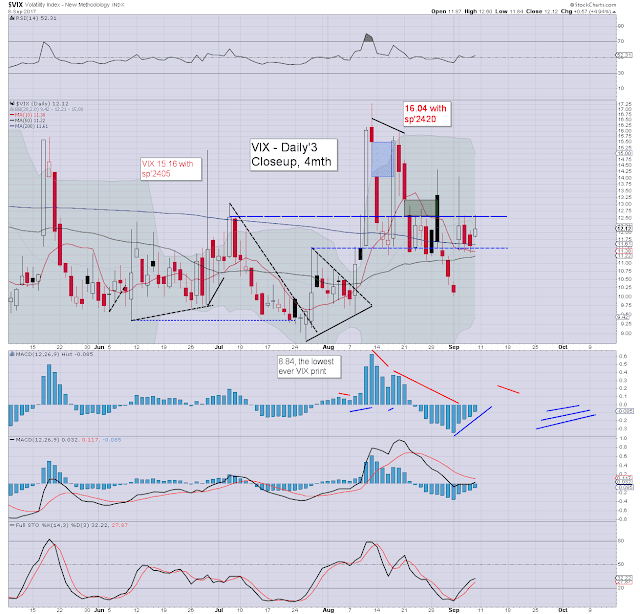 Whilst equities saw micro chop, it was notable that volatility stayed positive across the day, with the VIX settling in the low 12s. Near term offers the mid teens, and its difficult not to see the key 20 threshold being at least briefly hit by mid October. A net weekly decline of -15pts (0.6%) to 2461. Clearly, the mid term trend from early 2016 is still intact. 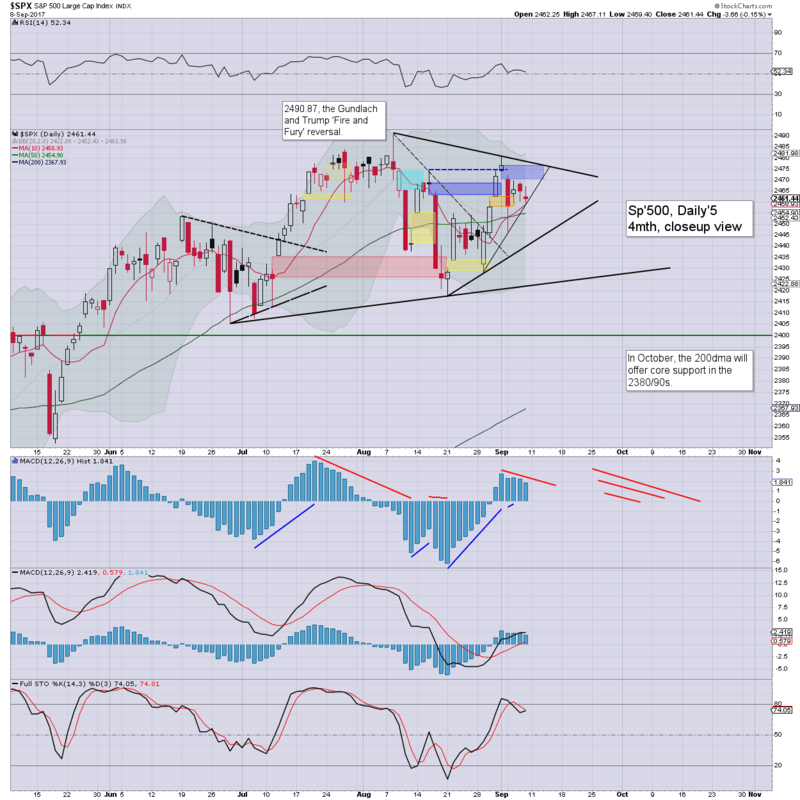 Equity bears need a decisive break <2400 to cause some technical damage. On balance, that does look probable, certainly by the first half of October. A bullish sign for next week? ... and that concludes the week.